The 2019 Peter Westblade Scholarship finalists Chloe Dutschke, Georgia Reid, Brett Stockings, Sebastian Liphuyzen and Josh Cousins. 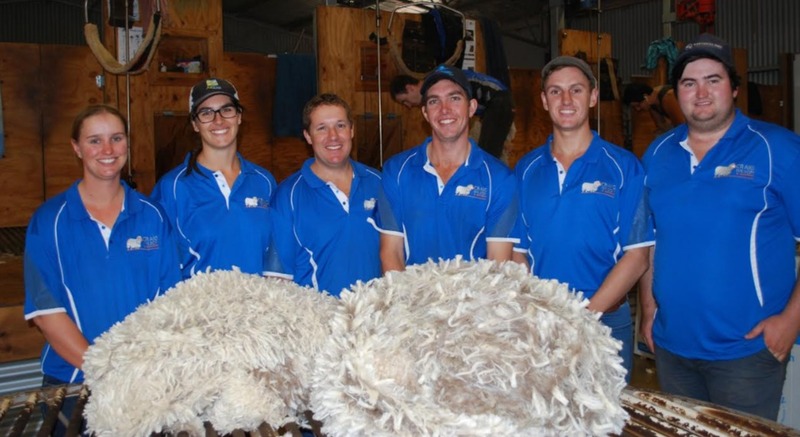 A SHEEP meat marketer and a contract muster are the joint winners of the prestigious 2019 Peter Westblade Scholarship. Joint winners, Brett Stockins, 31, from Dubbo, New South Wales, and Chloe Dutschke, 26, of Stirling North, South Australia, were selected from a high-calibre field of six finalists from NSW, SA and Western Australia. The scholarship is entering its eighth year and provides opportunities and in-kind support worth up to $10,000 over a 12-month period. The winners will benefit from practical skills training, mentoring and the establishment of industry networks. The scholarship honours the late Peter Westblade, a Lockhart sheep producer passionate about breeding profitable sheep, and a supporter of young people interested in agriculture. Brett Stockings manages the sales and marketing of sheep meat for the Middle East and North Africa for Fletcher International Exports. He is keen to strengthen his knowledge in understanding value adding and meal preparation, and how catering companies and retailers do their meal and plate costings. “I aim to continually grow and open new international markets for Australian sheep meat and co-products. “I want to see an increase in lamb and mutton dishes in restaurants and on café menus, and ensure we maintain affordability for all consumer budgets, along with meeting changing consumer demands, cultures and religious beliefs,” Brett said. “As Australian sheep meat prices rise we need to ensure we maintain our ability to provide a high quality product to suit all consumer budgets, trends and remain competitive with other sheep production countries,” he said. Chloe Dutschke is a self-employed contract musterer working across NSW and South Australia. She has a Bachelor of Animal Science at the University of Adelaide and participated in the Young Farming Champion program. “I have a specific interest in helping pastoralists make the most from their properties and see on-property consulting an area I would like to pursue. “I see positive encouragement for young people to bring new ideas and innovation to our industry, while collaborating with more experienced generations,” Chloe said. Ms McGuiness thanked sponsors Craig Wilson and Associates, Sally Martin Consulting, TA Field Estates, Bogo Merinos, Moses and Sons, McCorkell Pastoral Co, Outcross Media, Landmark, Riverina Wool Testers, Hazeldean, Woodpark Poll Merinos, Pastora, Roseville Park Merinos, The Woolmark Company, Grassy Creek Merinos, McGuiness Farms, Yarrawonga Merinos, Neogen, Smitten Inc, Beecher Wool Services and Gordon Litchfield Wool.